I had such a wonderful time at the conference thanks to your stellar planning and beautiful spirit. You put on a great event and I am going to make it the one writing conference that I promote throughout the year. I can honestly say that it is the best that I have been to so far (better than some heavy hitters) for attendees as well as presenters. Thank you again for having me. Teri Bayus was recently engaged by the Community Foundation of Estero Bay to provide its Board with a social media for non-profits seminar. The seminar was professional, instructive, useful, and engaging. The Board is grateful to Teri for informing it about the nature of various current social media platforms, and their potential application for the benefit of a non-profit. Thank you Teri! If you are tired of hearing this, forgive me. But you have once again done very well for yourself and writers. It was a wonderful conference. And in no small part it was due to you and your coterie of volunteers who, I might add, adore you. Add me to your long list of fans. You did spanked as many home runs for your participants as you did your staff and faculty. If you can't hear the applause coming from my Tarzana office I'm not clapping hard enough. liked to drink wine and be merry. it went to her head. She wasn't so keen on a sherry. I am a creator. Written word, video capture, social gatherings, marketing, and librettos to groups. I travel, write, produce, and amaze. Share in my adventure. 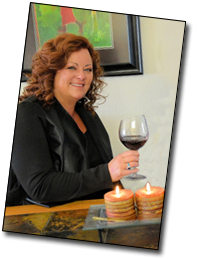 I also teach social networking classes for writers, businesses, and non-profits. I love to share my passions and experience with public speaking engagements. Subscribe to get email updates about classes and retreats. 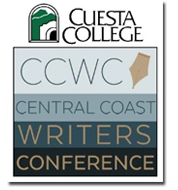 The Central Coast Writers Conference is an essential annual destination for writers, teachers, students, editors, and publishers. Each year writers join our community for three days of insightful dialogue, networking, and unrivaled access to our staff. This year we add Master Classes to our curriculum. These are a six-hour workshop focusing on one subject that will include the student writing. The hope is to have a finished project by the end of the course. Classes are limited to 20 students, and the goal is for the group to become a core support system with one master to encourage and elevate their writing. Our keynote this year is called Women, Wisdom, and Words. After tasty treats and wine, we will have six creators on stage talking about the stories they received from their grandmothers, the wisdom they want to share currently and a story to leave for their prodigy. 2018 conference features over 40 presenters offering screenwriting, beginning workshops, panels, critiques, keynotes, and craft lectures. We will have literary agents, editors, and publishers teaching and at your disposal. Join us September 27-29, 2018 for the elite of writing conferences in San Luis Obispo, California. Please follow us on Twitter: CCWritersCon and on Facebook: Central Coast Writers Conference for up to the minute details about our staff and authors. © 2011 SIAFU Consulting. All Rights Reserved.